- W-2: You should receive this form if you are an employee receiving a wage or salary. It outlines your annual wages and your withholdings. - 1099-DIV: You’ll receive this form for any dividends and distributions you received on your investments. - 1099-INT: Most people receive this form from their bank to report interest earned on their savings accounts; you may also receive it for other types of interest earned. - 1099-MISC: If you’re self-employed or an independent contractor, you should receive this form from any client who has paid you more than $600 during the tax year. - K-1: This form is given to shareholders and partners in trusts, S-corps, and partnerships. It outlines your tax liability in the business. - 1098: You should receive this form if you own a home and paid mortgage interest or real estate taxes during the year. These are just a few of the primary kinds of tax forms our clients receive. 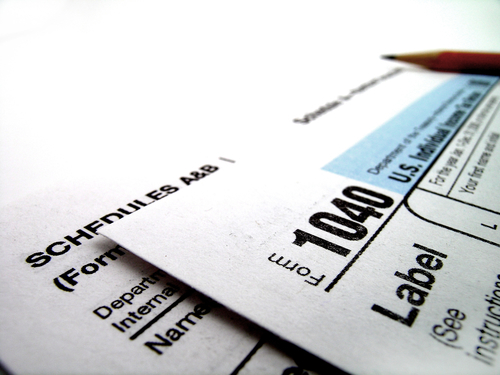 If there are any other tax forms sent to you, be sure to retain those as well. If you receive income from a rental unit, you should bring a detailed report of your income and expenses related to the unit. Expenses should also be accompanied by a receipt to prove the cost. Examples of expenses might include the mortgage on the property, property taxes, unit repairs, HOA fees, and so on. If you sold stocks during the tax year, you need to bring all of the relevant information relating to the stock sold. This would include the original purchase price and date, as well as the date and price that you sold it for. Whether you were the buyer or seller, if you were involved in a home sale in the last year, be sure to bring all of the settlement documents from the sale to your tax preparation meeting. Be sure to bring along any documentation relating to charitable donations made throughout the year. Ideally, you should have an itemized list of cash and items donated, the dates they were donated on, and the value of the donation. If at all possible, bring a receipt for these donations. If you have extremely high medical expenses (7.5% or more of your taxable income), bring documentation for all of your unreimbursed medical expenses. This includes insurance premiums, as well as travel expenses that were necessary to receive treatment. If you’re a student, your tuition and other education expenses may be deductible on your return. You should receive a 1098-T tax form for your tuition. Bring this to your tax meeting, along with a list of other education expenses, such as books and lab fees. You will need to provide some proof of your health insurance coverage throughout the year; you’ll need this for yourself and all dependents. You may receive a form from your employer for this, or you’ll receive form 1095-A if you had Obamacare. Please make sure that you have the Social Security numbers and dates of birth for yourself and all the dependents you will claim. This is especially important for new dependents who were not on your last return (e.g., a new spouse or child born in the last year). If you’re a new client at our firm, please bring along your tax return from last year as well. If you have a tax form or any other kind of document that you think might be relevant to your tax return, please bring it to meet with our CPAs in East Brunswick. It is always better to have extra documents than to not have essential paperwork to prepare your return. To get help with tax preparation in East Brunswick or Cranford, schedule an appointment today.